In the 1990s, Detroit Summer was a cauldron for local activism, community empowerment, and radical acts of reclaiming an abandoned urban core. I took a class of 15 Antioch college students with me one summer to help out. The organizers first showed us some of their exciting projects. My favorite was in an abandoned block of falling down two story clapboard houses. Here was an alfalfa field in a burned-out lot, garages with goats and chickens, baled hay from their alfalfa plot stacked neatly in what was once a living room with a bay window. There was a row of singing beehives beside dwarf fruit trees weaving their branches through rusted wire gates and broken yard fences. It was amazing. Amidst shattered glass, rusted cans, chipping lead paint, was food, activity, rejuvenation. They were illegal squatters in this landlordless forgotten place. They were late twentieth century urban bioneers. For me, the work in Detroit represented critical spiritual activity. 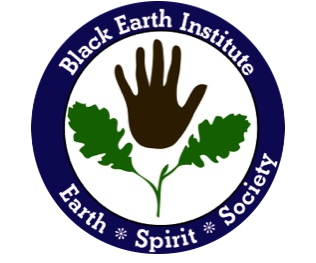 Specifically, it demonstrated the role of human community working directly with the will of Earth to re-establish a pattern for mutual flourishing. It was an assertion against doom and gloom. It was an affirmation of creativity. The ability to both envision and enact an alternate future by changing the conditions of the present was at the heart of Detroit Summer. The collusion of Christian theology and certain environmental rhetoric predicting great calamity and finality to the human race is the exact opposite of the spiritual activism I speak of here. My spiritual practice is rooted in the worldview of Midewiwin. This Anishinaabeg[i] cultural term has been translated as, “The Grand Medicine Society,” in many anthropological texts. The elder, Kewaydinoquay, who introduced me to this worldview in 1978 translated Midewiwin as meaning “mysterious things happening here.” I served as one of her chief oshkibewis (helpers) from 1979 until her death in 1999. A basic tenet of this belief system is that all is interconnected, inter-related, conscious being. By ALL, I mean: animals, birds, reptiles, fishes, winds, stars, clouds, rivers, oceans, springs, rocks, mountains, plants (etc.) and human beings. We, too, are part of the ALL that IS. This belief gives to the lead-poisoned, depleted soil of inner city Detroit a certain consciousness, a living beingness. Despite neglect, abuse and abandonment, the soil remains alive and aware of its purpose to hold the seed and harness the root. The soil retains its memory and history as well as its desire to once again flourish freely. 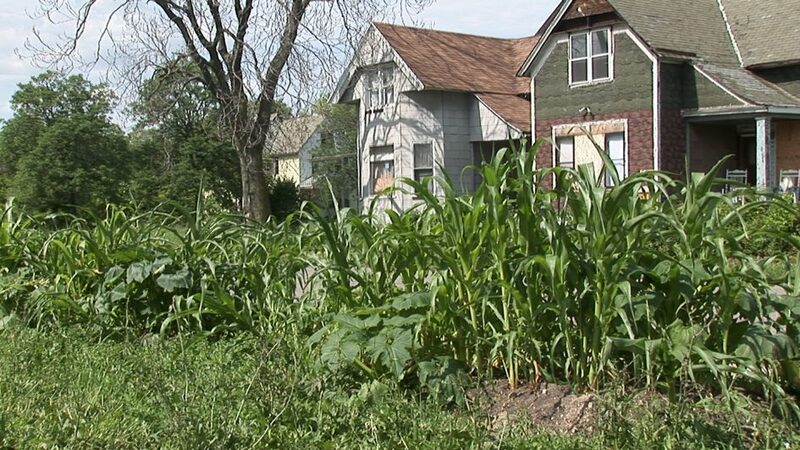 For me, the men, women and children in Detroit touching that soil with a clear commitment to restore and revitalize it were also demonstrating their own capacity for resilience. Through this action they were embodying an ancient sacred trust between humankind and the natural world: We will honor and care for you and all of your children, Mother Earth, and you will support our lives and the lives of our ongoing. This exchange between human and nature can be demonstrated in a million different ways. We exhale carbon dioxide as the trees inhale carbon dioxide. Trees exhale oxygen as we inhale it. This is but one simple demonstration of our holy interdependence. We are wholly dependent upon nature. We humans do not thrive when the air, soil, and water around us is polluted, depleted, and no longer able to sustain its own or our health. When we are out of balance, nature suffers, too. This is the foundational concept upon which elaborate lifeways were built not just in the Great Lakes region but across the myriad ecosystems of the world. It is with all of this in mind that I arrived in Detroit in June 1997 in a worn-out broken-down van with fifteen students. We came to be willing workers as part of a three-week intensive summer block course. One requirement I had of my students was to explore and understand the history of how the land they call home switched hands from the original peoples to the current population. I wanted them to understand the U.S., Canada, Mexico and the rest of the Americas, Australia, and New Zealand as settler states. Most of my students were the descendants of slaves and immigrants. Their parents, grandparents, great and great-great grandparents fled Russian pograms, German concentration camps, Armenian genocide, southern plantations, or the poverty, civil unrest and wars of the Caribbean and Latin America. They knew something of their own family stories but very little about the native peoples of North America. From our overview of Detroit history, we learned that the French called this area Des Troits for the three rivers that converge there. Prior to that it was a muskeeg, a swamp. Unlike the Eurocentric notion of swampland as wasteland, to the Anishinaabeg, the swamp is the source of the most powerful medicine plants. It is a sacred territory inhabited by wise beings, including the Great Blue Heron. It is a place of joyful abundance protected by the fierce little warriors we call mosquitoes. Though the written history of Detroit often begins with the French, this earlier knowledge was passed to me through the oral tradition. I was told the area was so vital that it sometimes became the site of skirmishes between the Anishinaabeg and their neighbors and sometime-enemies to the East, the Haudenosaunee, a people you may know as the Iroquois nation. The resistance leader, Tecumseh of the Shawnee, is said to have been killed in the region near Detroit. The border between the U.S. and Canada was in flux and native peoples drawn into the fighting between these two fledgling nations suffered mightily. Still many resisted European colonial powers and the new nation-states. They fought, died and survived in and around present-day Detroit in an attempt to protect both their lifeway and their territory. This early story of Detroit was not woven into the activism of Detroit Summer. Their focus was on more recent immigrants, including Eastern Europeans and the in-flux of African Americans moving up from the South following the de-segregation of factories by Eisenhower during WW II. Detroit was Motown, the Moter City, a multicultural frontier on an international border. Detroit, marred by racism and white flight to a safe suburban fantasyland. Detroit as a brown-skinned poor broke orphan; as wasteland; as nobody’s beloved. 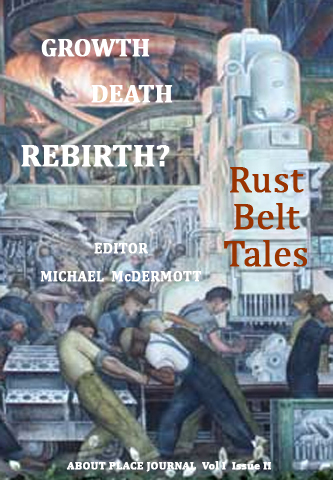 Detroit as down on its luck, as gangland, as exploited labor. Detroit Summer as savior, as hope, as possibility. I went to Detroit with an open mind and an open heart. I went to work alongside my students under the leadership of those who were trying to make change. We had read HOME! A Bioregional Reader as one of our texts. In it the term ‘reinhabitation’ described the efforts of urban gardening and the restoration of native species to city yards as part of a movement to live consciously and deliberately in urban places. What was happening in Detroit went beyond what the book described, or anything I had imagined. Detroit Summer as a site of spiritual activism is my own perception and not necessarily the perspective of the activists themselves. I think what may have motivated those on the ground in Detroit was more akin to the words of beloved leading local activist Grace Lee Boggs. As I sat on the floor beside her rocking chair in a church basement alongside my students, she explained that the urban rebellions of the 1960s were not a revolution. A rebellion expresses mass discontent. A revolution changes everything. The effort to bring material changes to the local environmental, economic and social fabric of inner city Detroit was an inspiration. Months later I began to write the poem, The History of Green. 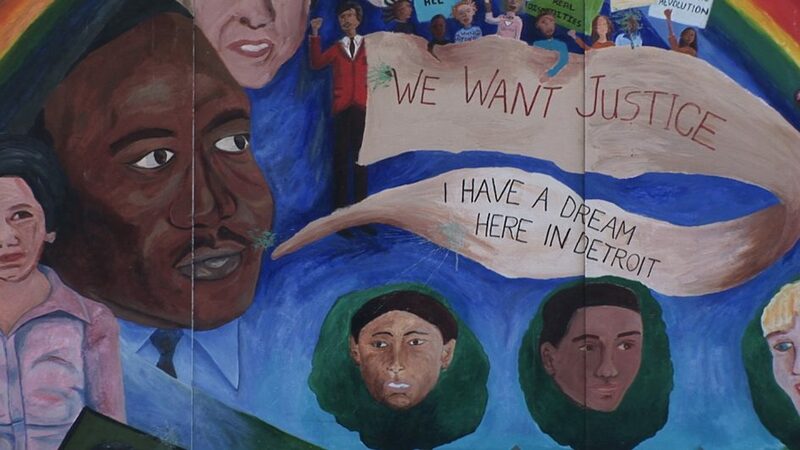 The images and ideas in it are rooted in my dream of Detroit’s past, present, and future. before summer surrendered to ice. becomes another word for gold. who cannot get enough to eat. but her body on the street of the city. the Gardening Angels in Detroit remember. and all manner of feathered leaves. Green is the fist of the forest. [i] The word, Anishinaabeg, literally means The People. It refers to a large group of Algonkian speaking peoples who refer to themselves as The Three Fires. This includes the Ojibwe/Chippewa; the Potawatomi; and the Odawa/Ottawa. The Anishinaabeg consider the territory now known as Detroit to be among the Easternmost of their ancestral homelands. Ann Filemyr, Ph.D. serves as the Academic Dean of the College of Contemporary Native Art at the Institute of American Indian Arts in Santa Fe. Prior to that she was a professor at Antioch College in Yellow Springs,Ohio for 15 years. Her parents still live on a 140 acre farm in Sheboygan County, Wisconsin where they moved from Philadelphia when she was twelve. She is a poet and author of The Healer’s Diary (Sunstone Press, 2012); Growing Paradise (LaNana Creek Press, 2011); Skin on Skin (Starfire Press, 2000). She wrote a chapter for Goddesses in World Culture (P. Monaghan, ed.) and has contributed to numerous other books and journals. She recently won an Honorable Mention from the Robinson Jeffers Tor House Award for her poem, Love Enough. Her concerns involve sustaining love and life on our beautiful home planet.